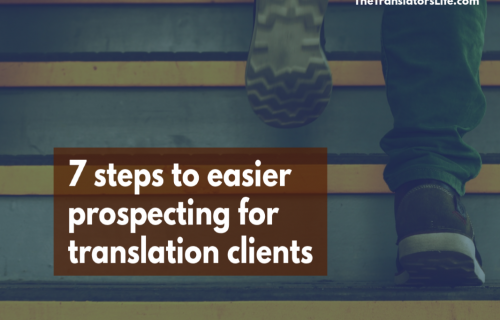 She pored over the Internet to find a great potential translation client. She slaved all day to craft an email, putting together all the details and information that she could muster to persuade the company that she’d be a great translator for them. With the nervousness of a teenager on a first date, she covers her eyes and hits send. The next morning, she wakes up to find her worst nightmare come true: the client asks not to be contacted again. Her heart sinks. Her efforts feel fruitless. Why the heck did she decide to become a freelance translator, anyway? Are you like the fictional Julie and have felt the sting of rejection? Or maybe the idea of a bad response weighs so heavily, you can’t bring yourself to hit send? While the “spray and pray” approach isn’t always a bad one (see the “massive outreach” section of this blog post), fine-tuning your outreach approach may be in order if you are getting too many rejections. What do you think your results would be? At a party of 30 people, you’d be lucky to strike up a few conversations. And from those conversations, you’d be very lucky to develop one friendship. Reaching out to prospects is the same thing. Do they hire freelance translators? Once you’ve found a pool of clients from all of your research, you need to do some thinking. Because, to increase your chances of a response, you need to “qualify” prospective clients. This will increase your chances of getting a good response or nurturing the client over time. Does this company translate their content? It could be that, in your fantasy of working with a particular client, you’ve forgotten to think about these two very essential criteria. You will have to call or email to ask! This may be a step you really don’t want to take. It could feel like once you reach out to the prospect and they say no, they are out of your reach forever. But asking this simple question can save you a ton of time: no email to write, no stamp to buy, no package to create for a client who isn’t interested. And since you are saving the client time by not sending them information they don’t want, they’ll appreciate your straightforwardness. 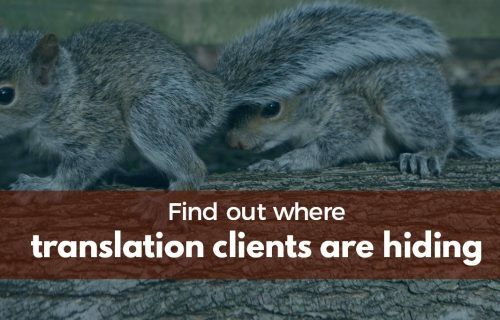 Let’s say you come across a company who indeed translates their content. 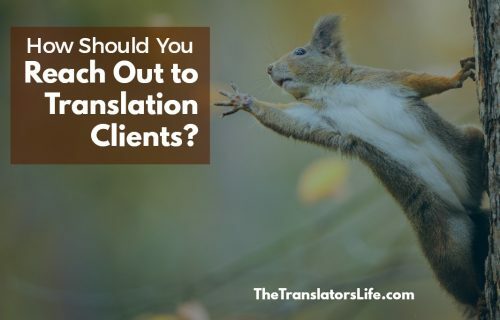 What does the client translate and why? 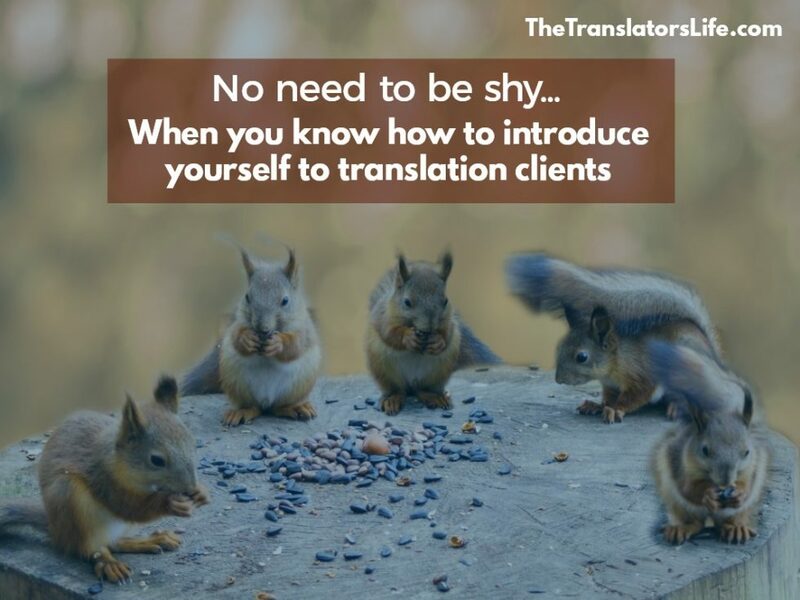 Clients don’t need someone who can translate: they need someone who can help them achieve goals with their translated content. Content serves a purpose, and you need to at least make an educated guess as to that purpose to capture your prospect’s attention. You’ve found a client who looks like they might use freelancers (or you’ve emailed them to find out–go you!!). And you’ve determined that they are most likely translating their job offers for their career site in order to recruit new talent. Your heart leaps! You’ve made excellent progress! If that’s the case, are you just going to give up? If you don’t have the exact kinds of documents that the client works on, your task right now is to get jumping and create some. When you introduce yourself to clients, you are not giving them your resume, experience, education or a list of CAT tools you use. Clients don’t care about that. And then you can ask permission to send your samples, point your prospect to your website, or ask if they would like to chat further. Going through all of these steps may take some time at first as you get used to it. But once you internalize the principles, write scripts and templates, and practice over and over, you’ll find that it gets very easy! Imagine: no pressure or stress. Just a steady stream of new clients. You’re now a professional freelance translator going about her business. And that feels so darn good.